There are many ways to use the free energy from the sun. 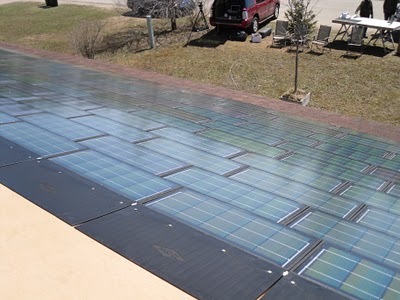 Many home owners like the idea of using solar energy to reduce their home electricity bill. Couple of weeks ago, I wrote a blog post on the steps you can take to reduce your heating, ventilation and air-conditioning system (HVAC). As it turns out, HVAC consume a large portion of your monthly utility bill. The blog post explains how you can save money by making your air-conditioning system more efficient. Are there any ways you can cut your HVAC consumption even further? Yes there is and it is by using a solar greenhouse? What are greenhouses? Are they the same are the glass building used to plant fruits and flowers? As a matter of fact, it is. Although all greenhouses are designed to collect and use solar energy, solar greenhouses are specifically designed to trap and store thermal energy from the sun. Meaning, the building is designed in such a way to trap the sun radiation to warm up the air internally. Now, what can you do with the warm air? Why not circulate it around your house and heat up your living rooms during winter. Free heating courtesy of the sun! What types of greenhouses are suitable for natural heating for a home? There are 2 types of solar greenhouses. They are the passive and active design. Passive solar greenhouses work by absorbing solar radiation through the glazing and converting it into heat. The building stores heat because it is designed in such a way it limits the heat getting out. How does the heat get absorbed? The radiated heat is captured by surfaces such as soil, water, rock and other heat absorption materials. The trapped heat will heat up the surrounding air and the hot air can be circulated into your house. The air is circulated into your home through windows or vents. This type of solar greenhouse also collect, store and deliver energy like the passive. The only difference is it uses an electrical equipment such as an exhaust fan to move the heated air from the greenhouse into your home. Nonetheless, the power used by the exhaust fan is much less compared to an electric heater. So, is a solar greenhouse a good idea? There are a few factors that you have to consider. One for example it space for you to construct the structure. It’s a natural way for heating during cold winter months and at the same time, it increases the aesthetical value of your home. There are many ways for you to build a greenhouse. You can engage a contractor or build it yourself to save cost. If you are opting for the DIY approach, you will need a construction blueprint. For an easy to build and easy to follow blueprint, check out Bill Keene’s “Building a Greenhouse Plans” e-book. It has complete write ups and design plans for a DIY solar greenhouse. Most of the research material for this blog post came from Bill Keen’s manual.